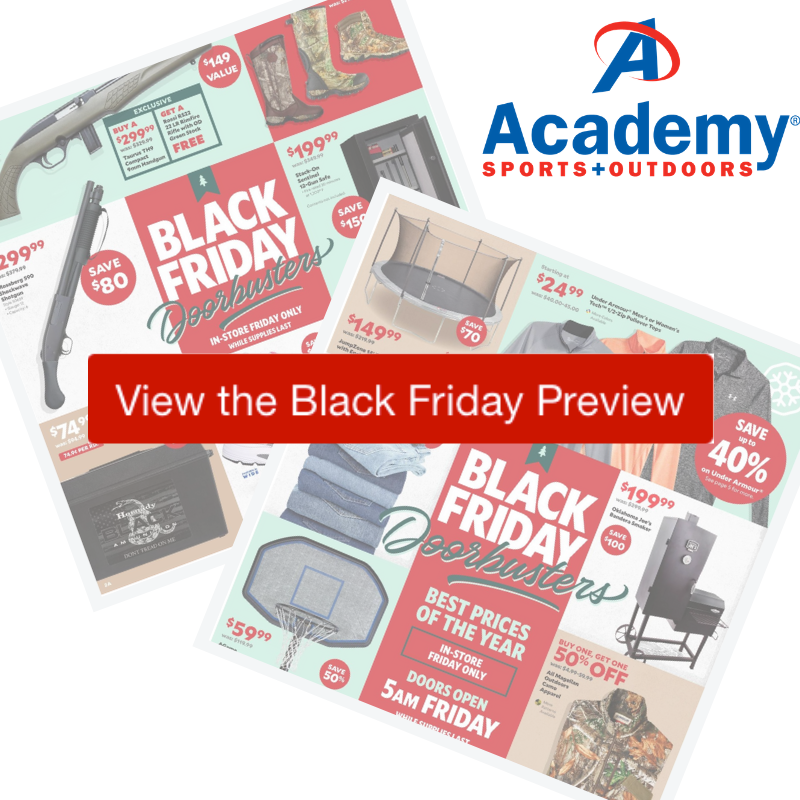 Get ready for all the deals in the 2018 Academy Sports Black Friday Ad. Doors open Friday morning at 5 am, and many deals are only available on Friday in-stores. Expect a good number to also be online, though the ad doesn’t say that.